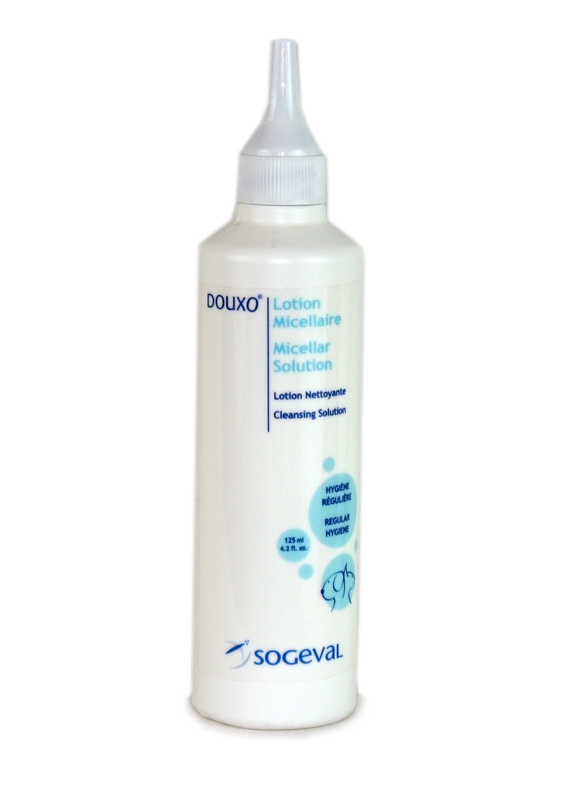 Douxo Micellar Solution is a mild, lightly fragrant cleanser which gently washes away skin debris and excess oil and relieves irritation. Soothing, non-irritating and non-greasy, this cleansing solution helps restore the skin barrier and control skin inflammation. Its light green tea fragrance makes it pleasant to use. Just apply to sensitive areas and wipe away with a clean cloth or tissue. 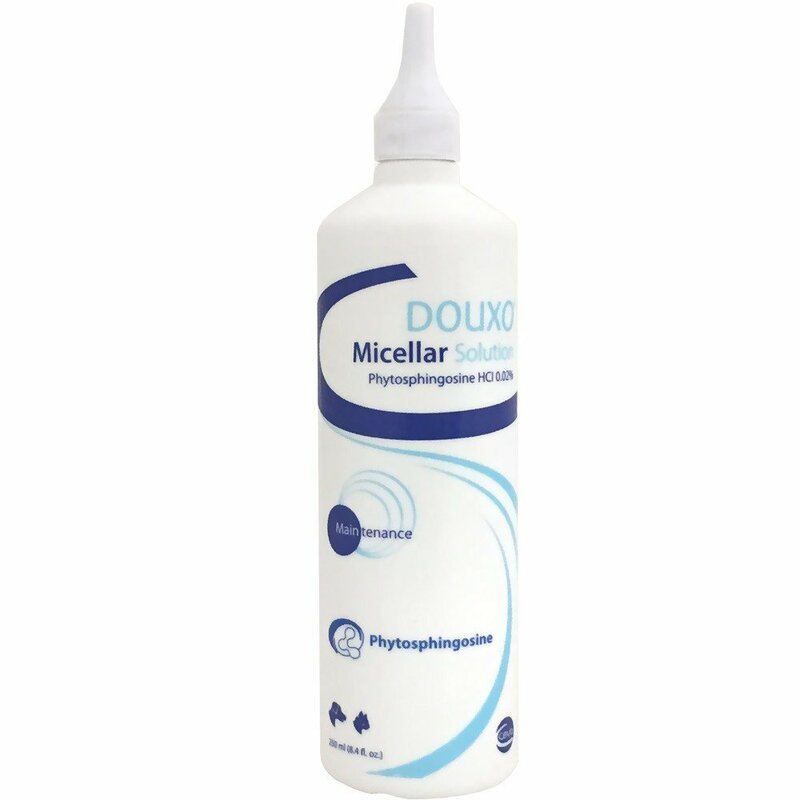 Douxo Micellar Solution is typically used as an ear cleanser to combat excess wax production, but can also be used to effectively clean matted hairs and skin folds around the eyes, on the face and in between toes of dogs and cats. Ear use: Place a few drops into the ear duct while keeping the ear flat open. Rub the ear up and down gently to facilitate washing away skin debris. Wipe the inside of the ear with a cotton ball, tissue or gauze. External Use: Apply on the targeted area with a gauze. Rub gently, then wipe away with a clean tissue or gauze. Aqua, Alcohol Denat, Polysorbate 80, Propylene Glycol, Laureth-9, Poloxamer 184, Biosaccharide Gum-2, Imidazolidinyl Urea, Phenoxyethanol, Potassium Sorbate, Fragrance, Citric Acid, Phytosphingosine HCL.